For over 100 years, the Hebrew University of Jerusalem (HU) has been a trailblazer in multidisciplinary education, encouraging student and faculty collaboration in various fields of study. Today, more than ever, it is seeing the fruits of its multidisciplinary focus, which has been formalized in course offerings and programs. 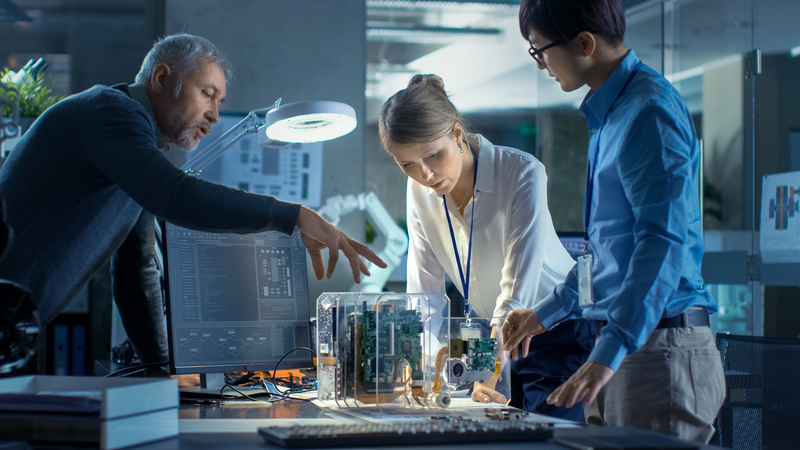 In 2018, approximately 65% of the innovations recorded to HU’s technology transfer company, Yissum, stemmed from partnerships between academic faculties—such as medicine and engineering, or agriculture and science. In the fall of 2018, the Hebrew University announced that entrepreneurship—a hallmark of the Israeli economy and, more broadly, its culture—will be a required class for all students, even those majoring in linguistics or philosophy. The Hebrew University offers many curricular opportunities for cross-pollination. One of its initiatives, the BioDesign Center, takes a collective tact to medical innovation. Created by the Hebrew University and Hadassah Medical Center, in conjunction with Stanford University, it provides teams of medical fellows, bioengineering, and business graduate students the structure to collaborate and commercialize solutions to medical problems. Dr. Wiener highlights commercial successes of the program, including ThoraXS, a one-handed thoracic portal opener that shortens the time required to insert a tube into a patient’s chest from minutes to less than 30 seconds. The technology has been effective in preventing deaths from chest trauma. It was developed by engineering and business students from Hebrew University, along with an internal medicine specialist and pulmonologist from Hadassah Medical Center. Last month the business school launched a FinTech Center to help students bring machine learning and data analytics technologies to the marketplace. The center offers a mentoring program for computer scientists with experienced entrepreneurs and academics. One of Yissum’s companies, Future Meat, received a $2.2 million investment in May from Tyson Foods to develop lab-grown meat. Dr. Yaakov Nahmias, a bioengineering professor and the founder of the company, developed a cost-effective way to grow meat from animal cells in a lab. When he began his research, lab-grown meat cost about $5,000 to produce. He lowered the price to $400 per pound and expects to reduce it further. Grail, a healthcare company focused on the early detection of cancer, brought together professors from HU’s computer science and engineering department, as well as doctors from Hadassah Medical Center. The company, which has teamed up with Yissum, is creating a method for doctors to screen patients with a simple blood test for abnormal tissue or cell death. 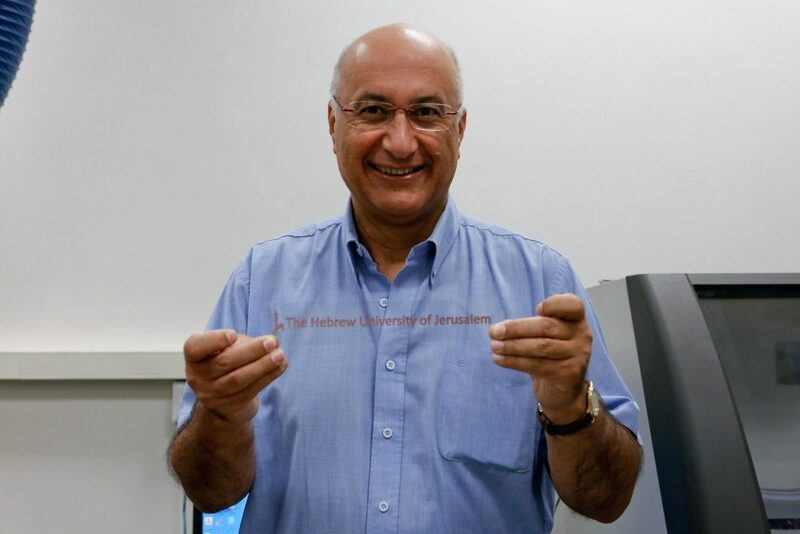 Dr. Shlomo Magdassi, a chemistry professor at the Hebrew University for over 30 years, has lent his expertise in colloids, a type of chemical mixture, and nanoparticles to a host of innovations. He has worked with physicists, biologists, and mechanical engineers on several technologies. Among them, Dr. Magdassi has created solar panels in California using coatings that contain nanoparticles, printed medication that can be customized for individual patients, glass printing technology—he even developed technology to print logos on coffee and cappuccino. For the past 18 months, Dr. Magdassi has been working with Dr. Oded Shoseyov, a nanotechnology professor at HU who is currently focusing on the molecular biology of plants. With funding from Yissum, their lab results, using waste from wood material, have been successful and they’re now investigating commercial applications.